On a South Korean auto show in Seoul recently the Hyundai was presented to public effective concept car under the name HND-9. The car possesses so attractive look as though specially intends for superheroes from the American comics. In ultramodern appearance of the Korean concept car lines of other car from Hyundai – quite successful compartment of Genesis. Over design of HND-9 worked engineers from design the company – Namyang Design Studios. 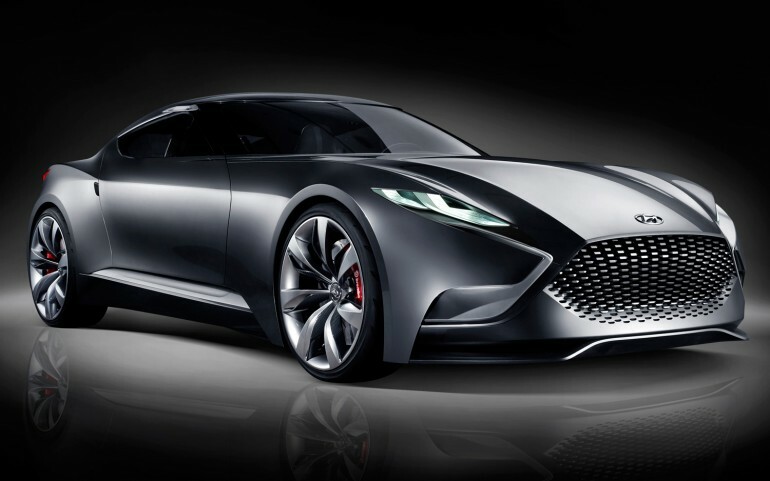 The new design philosophy, which Hyundai puts in the HND-9 sporty coupe, specifies that the company is ready to evolutionary breakthrough in the automobile future: the concept actually eclipses all previous development of Hyundai. In length of a sport car reaches 4.7 meters, and width of the car doesn’t exceed 1.9 meters – at 2.86-meter wheel base. Height of HND-9 is equal 1.34 meters, which is 6 cm less in compare of Genesis. As the power plant on HND-9 has 3.3-liter V6 engine with system of direct injection of the fuel, developing capacity in 370 horsepower. Doors – the wings opening up, 22-inch rims, body materials on a basis carbon – all this rather is characteristic for the concept car, which if will go to a series, how often happens, will lose some details on the way.